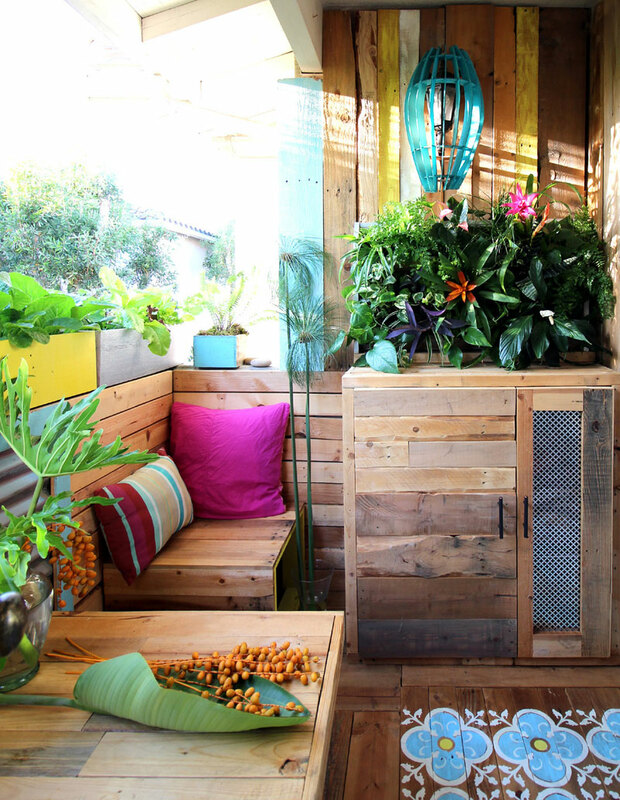 Smaller spaces are always a challenge to decorate. 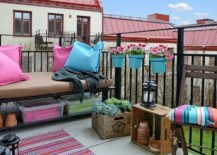 You don’t want them to appear cluttered, you want to capitalize on their coziness and infuse it with as much character as possible! 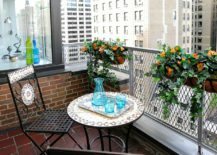 Smaller outdoor spaces can perhaps be an even bigger challenge, because you normally have some greens to work with and you must take them into consideration when coordinating your decor pieces. 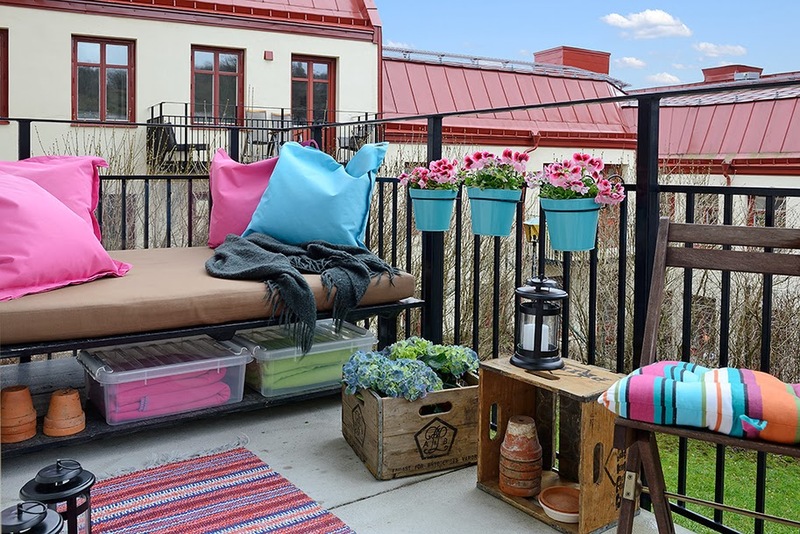 Trying to combine comfort with nature isn’t always an easy task, but these colorful, tiny balconies show you the secret to a lively and inviting exterior! 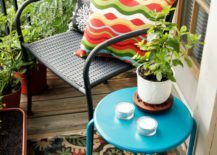 A tiny decorative table can easily get lost in a big room, but place it on a small balcony and you’ll see it shine – especially if it has the color of the bluest sky! 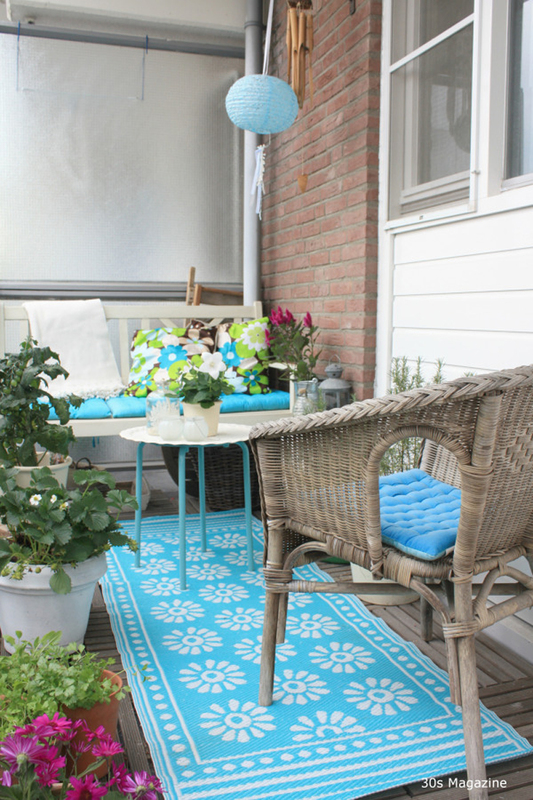 The baby blue decor pieces are a refreshingly modern influence on a balcony that is rich in natural elements, such as the selection of green plants. The energetic color of the rug and sitting cushions provides a strong contrast for the raw brick wall! 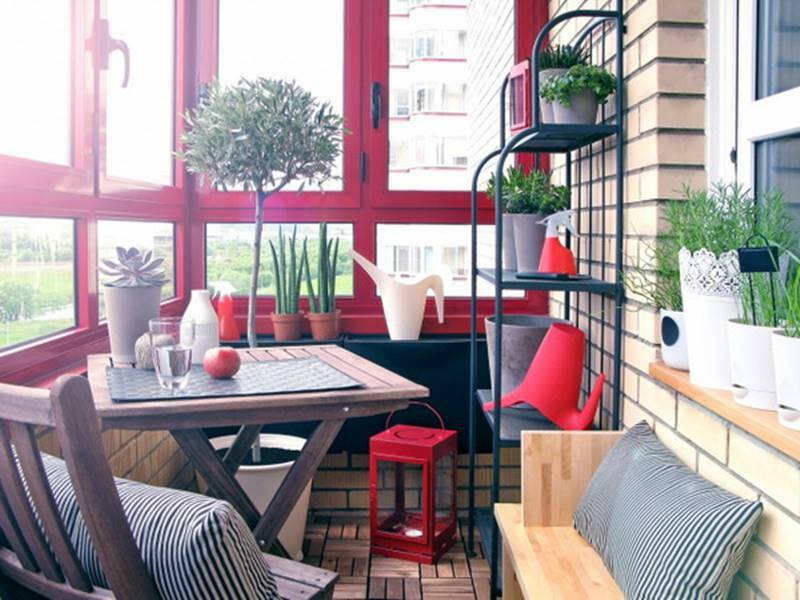 A tiny city balcony has the potential to blend in with the rest of them, especially if you live in a big apartment complex. 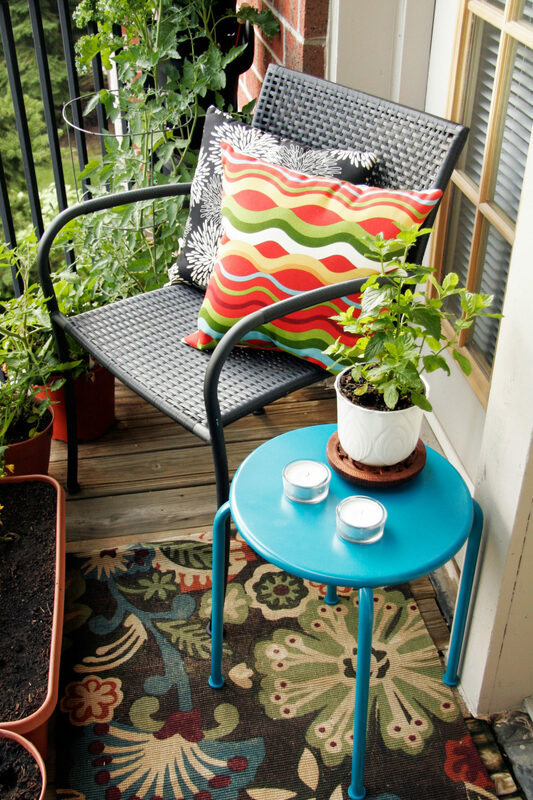 Use a few fabulous mint pieces to give your balcony a flamboyant character like no other! 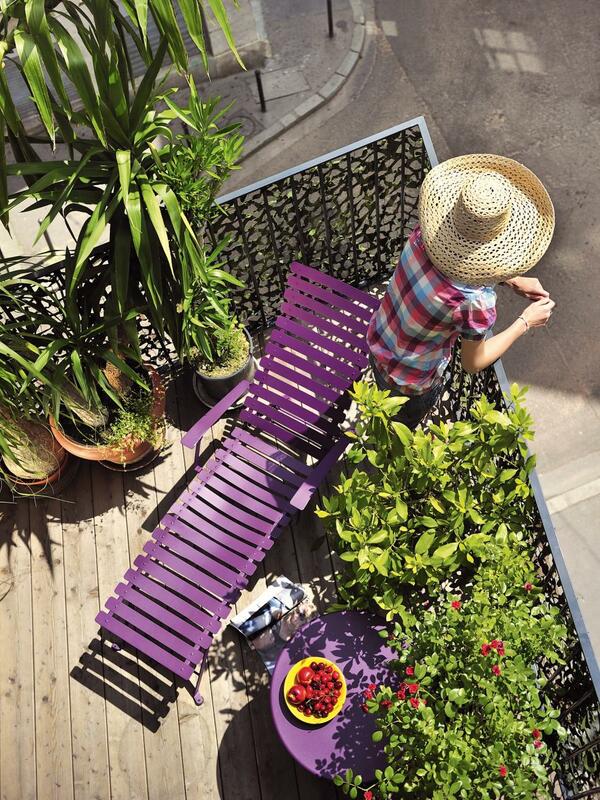 A tiny purple balcony can feel like a little wonderland! 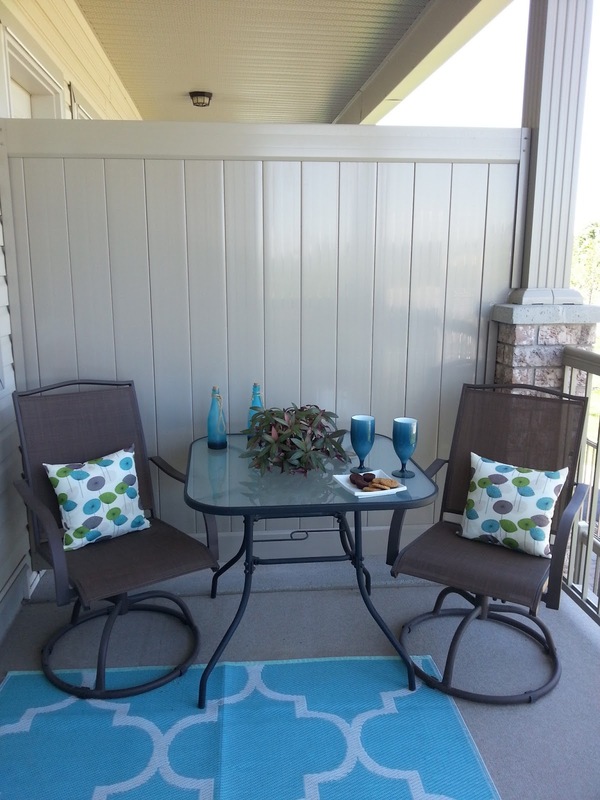 When the space is limited you have to make the best of it and a wise choice of colors is an important factor! 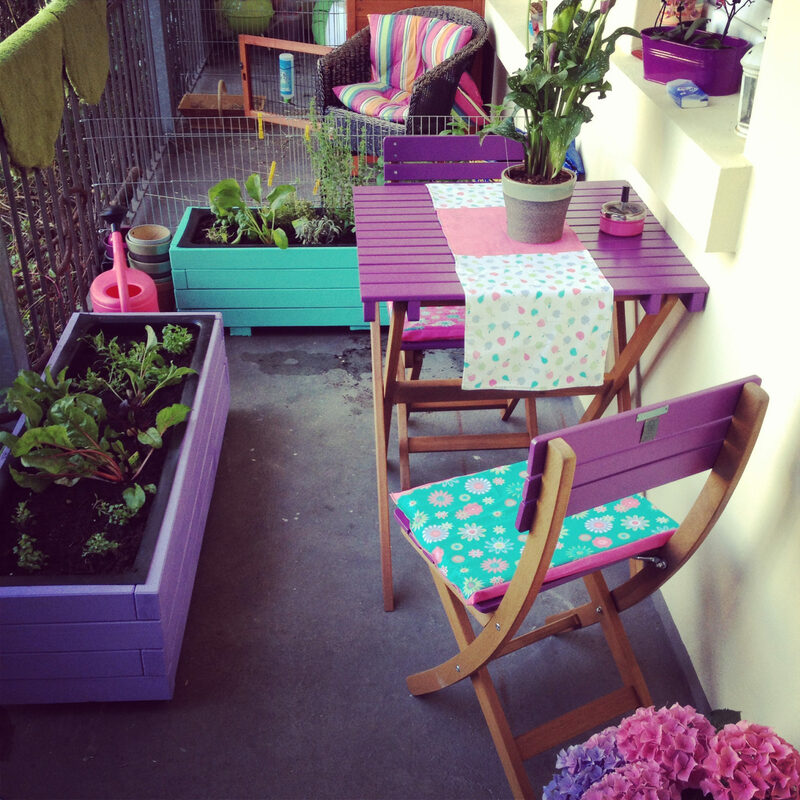 The energetic purple brings dynamic to the table and erases the doubt of enjoying in a smaller space! 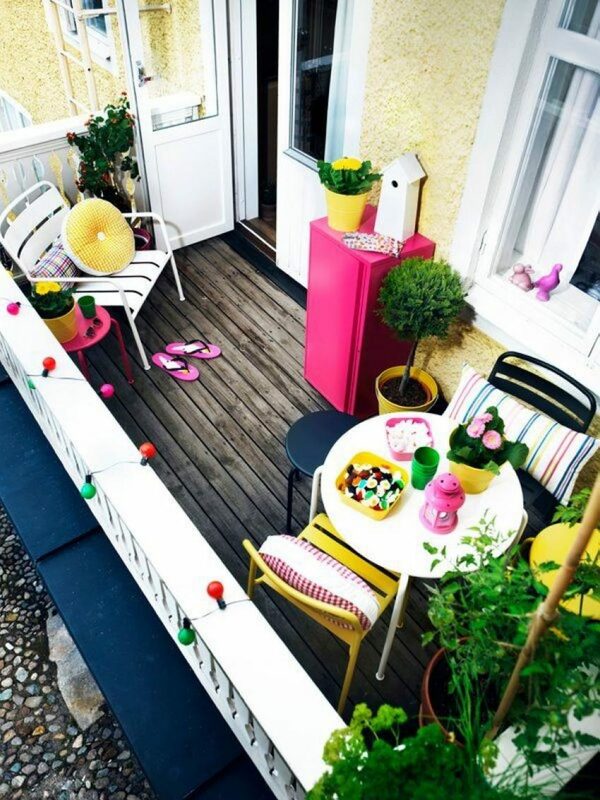 A tiny magenta side table is a great addition to a balcony that needs something lively and playful! 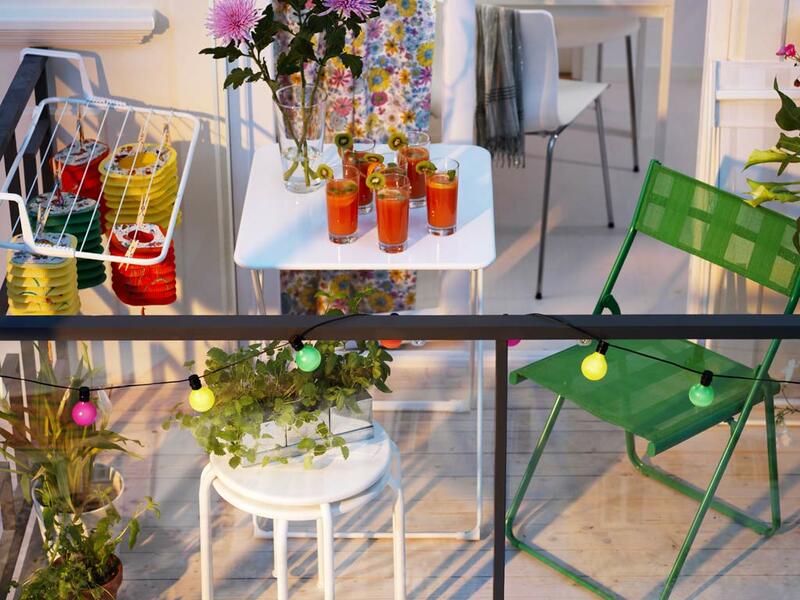 Playing it safe is a thing of the past – now we’re all about pushing our exterior to reach its full potential! 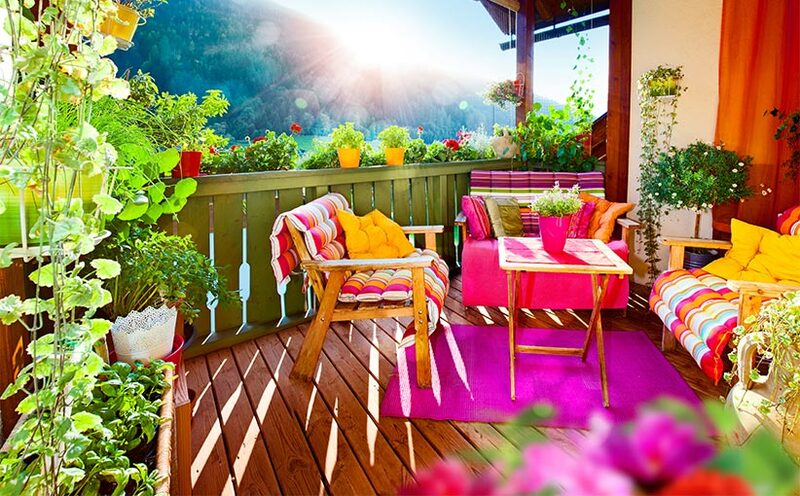 Bright and noticeable colors can surely affect one’s mood, so if you have a ritual of drinking your early morning coffee on your tiny balcony, be sure to decorate it in uplifting colors that will fill you with joy each and every day! 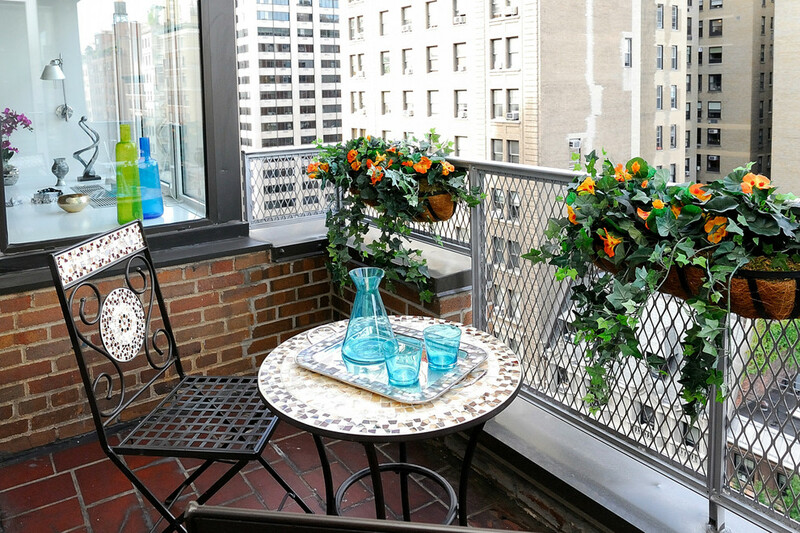 Balconies are often the space where we proudly show off our florals. 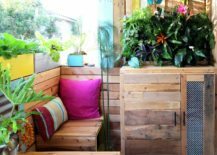 Since plants come in such a wide palette of colors, it seems an obvious but genius idea to use them as a main source of color! 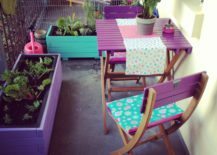 They are the perfect resource for anyone who wants their tiny balcony decorated with a lot of color and diversity! Each time you pick up a new flower arrangement you’ll be picking up a fresh decor piece! 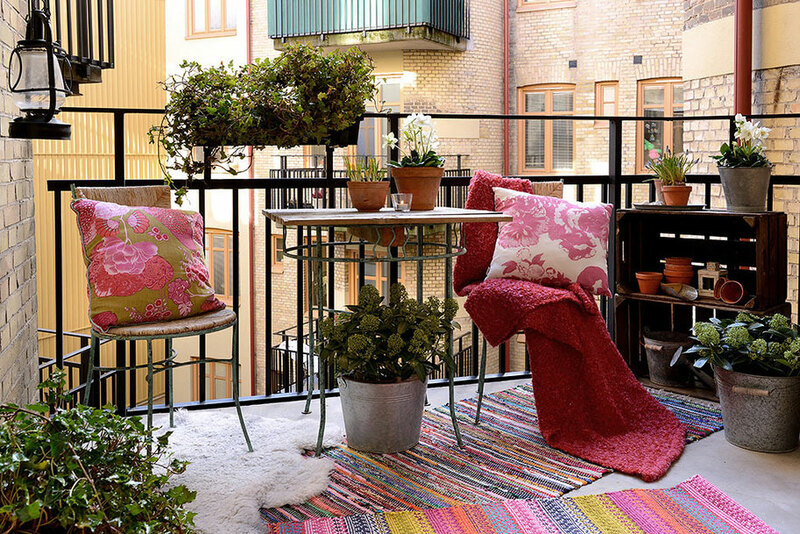 A balcony with an industrial style usually needs a bit of softening up and what better way to do so than with impeccable pink decor! 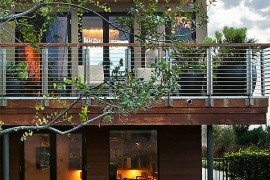 It is incredible suitable whenever you wish to create a gentle, kind atmosphere and will truly push the industrial styling into the background! 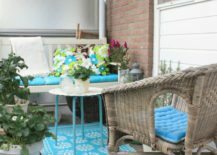 When you’re decorating a big space you can experiment with various decor pieces, but when you have a limited space it all comes down to how you utilize the elements that fit into it! 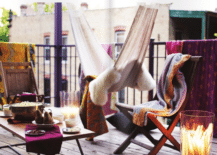 Colorful string lights are a fantastic choice that will perform outstandingly both during the night and day! 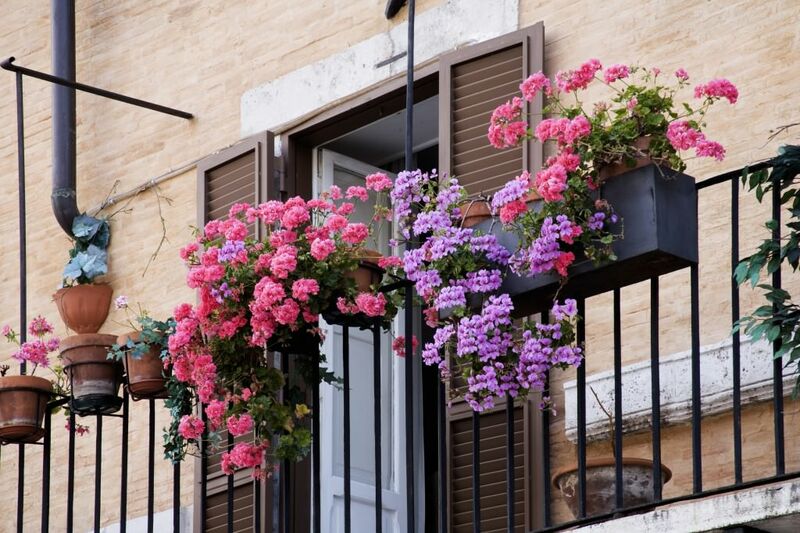 If your tiny balcony is a closed type, you can use that to your advantage by painting the window frames to your favorite color! 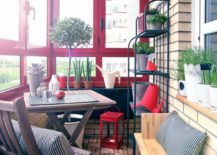 The red is a bold choice that obviously creates an energetic ambiance and if the rest of the interior in the closed balcony is in more neutral tones, you can be sure the red window frame will be the center of attention! 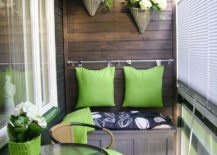 Green is a color that reminds us of the nature and it’s therefore perfect for small, urban balconies that overlook the city and don’t quite have a green view. 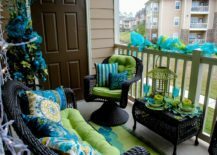 You can channel the color of the trees and the fields within your balcony decor to always feel the inspiration of a vast green landscape! 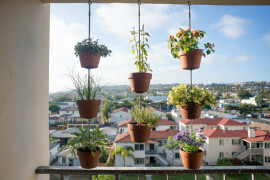 It will make your balcony feel much less metropolitan and much more organic! Purple is definitely one of those spirited colors that seem to have a solid and defined character. It’s not as edgy as red, but also not as sweet as pink. It can stand on its own and completely take over the space without feeling overwhelming. 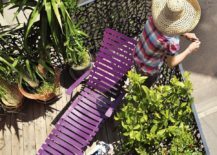 Where once a balcony was basic and without much personality, the addition of purple elements will result in it becoming a modern oasis within a busy city, a youthful sanctuary for people who aren’t afraid to decorate beyond the charted trends! 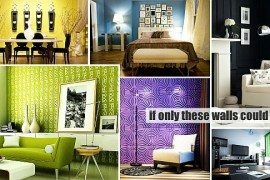 It’s the memories that give a space true value, but it’s the decor that drives us into that space in the first place! 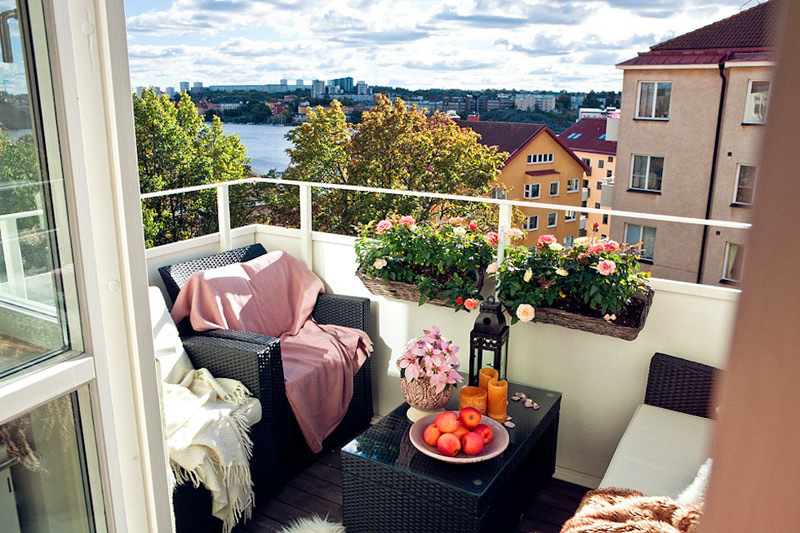 When your tiny balcony looks alive and charming, you’ll be drawn to spend more time on it. 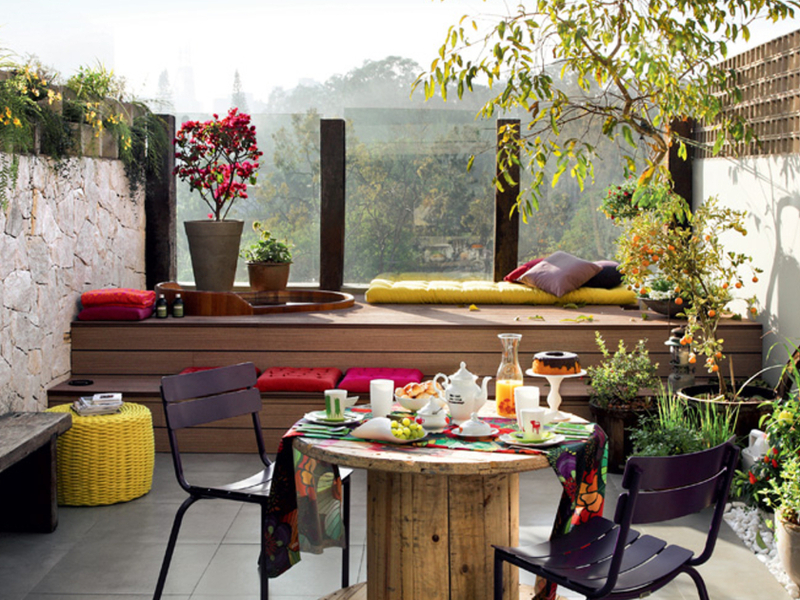 The combination of yellow and red sitting cushions is one we can’t get enough of! 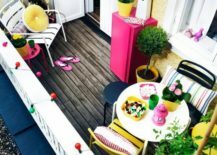 Maybe you’re wishing for a less vibrantly colored balcony, in which case a shade of soft pink will bring the necessary magic into your tiny outdoors! 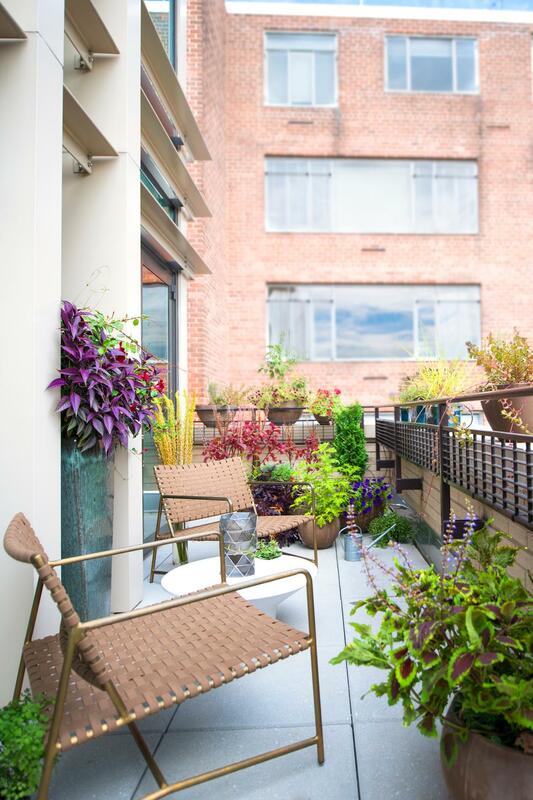 For extra harmonious space you can even coordinate your decor pieces with the chosen balcony flowers! 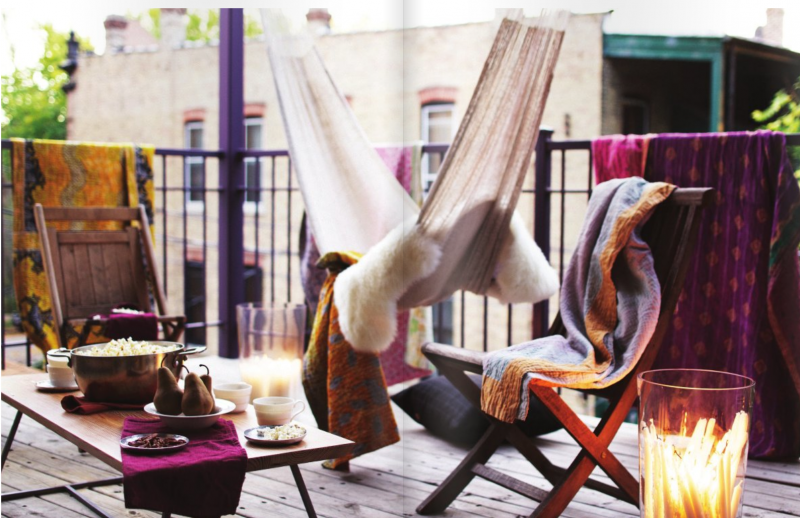 A rustic balcony is beautiful and cozy just as it is. 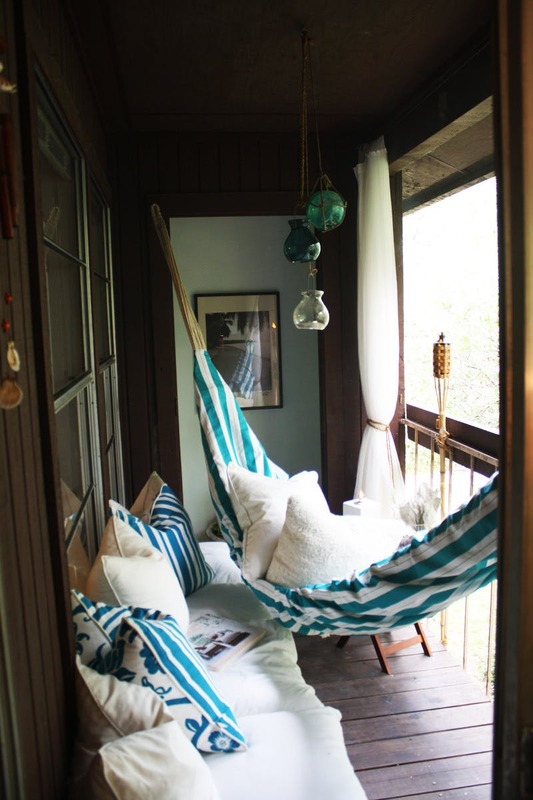 It doesn’t need much color to feel open or special, so a couple of light blue cushions and perhaps a hammock for the wow effect will do the trick! 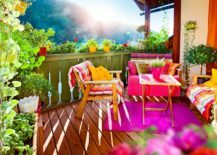 Don’t fall into the trap of thinking you need big decor pieces in vibrant colors to decorate your balcony with intense hues – a couple of smaller colored elements will do the job just as well and leave you with more room to display the incredible wooden decor! 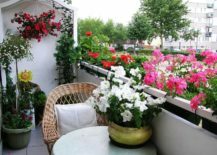 If your balcony is so small you feel any bigger element would completely clutter it up, settle for some flowers on the iron railing. This will turn the balcony into an important piece of the house exterior and show off those colorful flowers! 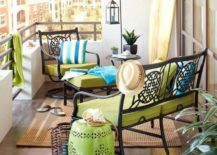 Coordinating colorful decor elements is essential if you want a balcony that feels harmonious and consistent. Pick your two favorite colors and make the best of them! 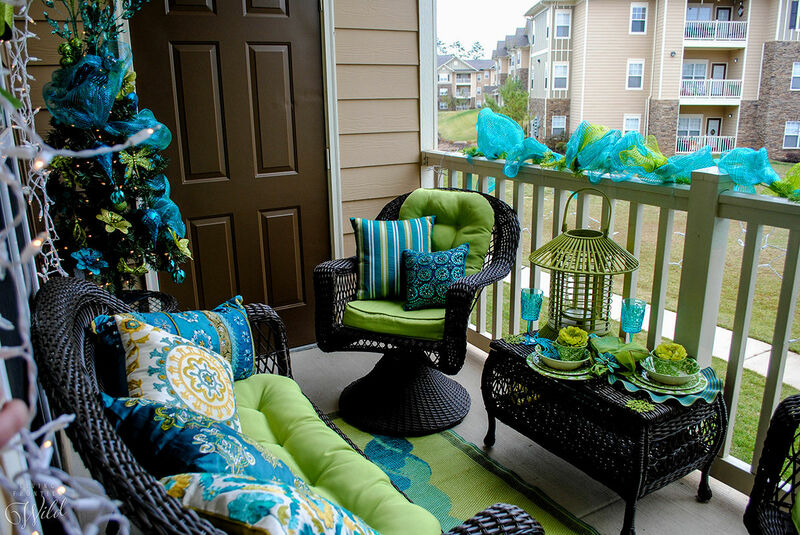 Match the throw pillows to the planters and the flowers, to showcase you have an eye for details! 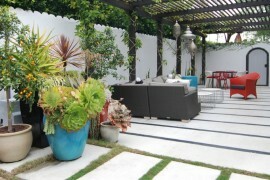 Blue and green have always been two colors that work incredibly well together and feel completely meant to be. 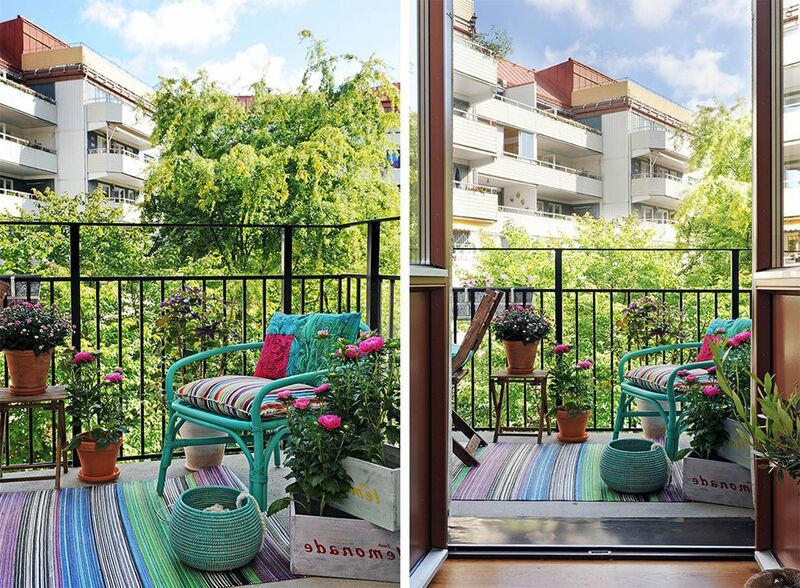 They connect the beauty of natural hues with the depth of the cold color pallette and you can look to this captivating balcony to see what we mean! 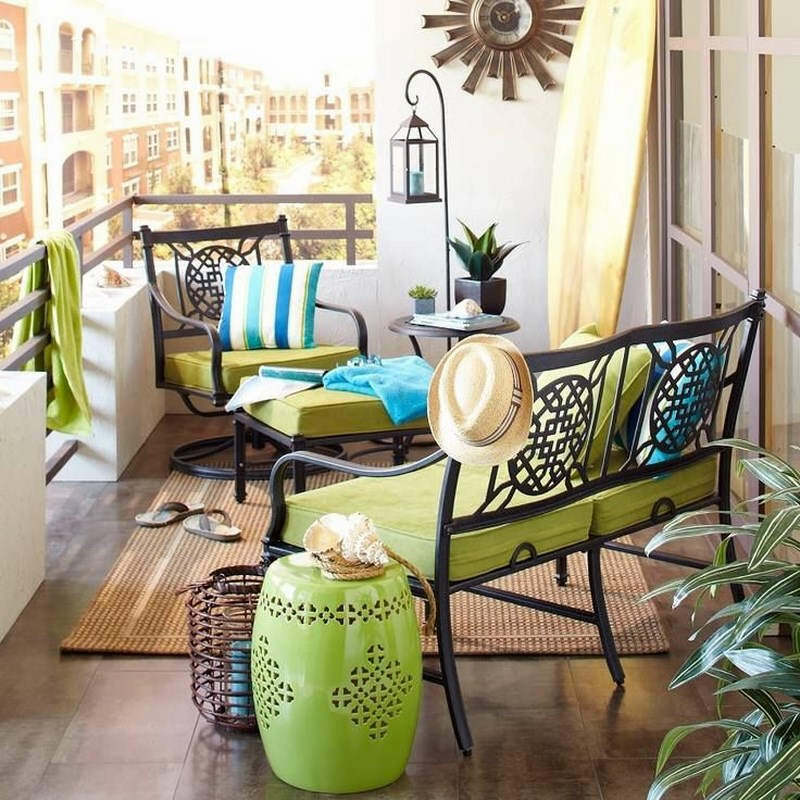 Pick out some stunning yellow elements, such as chairs and cushions, to be the baseline of your colorful balcony. With that, you create a nice setting for one special element, such as the pink cupboard, that represents freshness and originality! When you’re in love with the industrial style it’s hard to imagine how you could possibly match the brick wall and the iron chair to shiny colors. 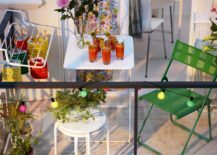 The process becomes much easier if you know you’re not making permanent decisions – choose colorful pieces that you know will eventually be replaced (like florals) or ones that don’t permanently stay on the balcony (like drinking glasses). 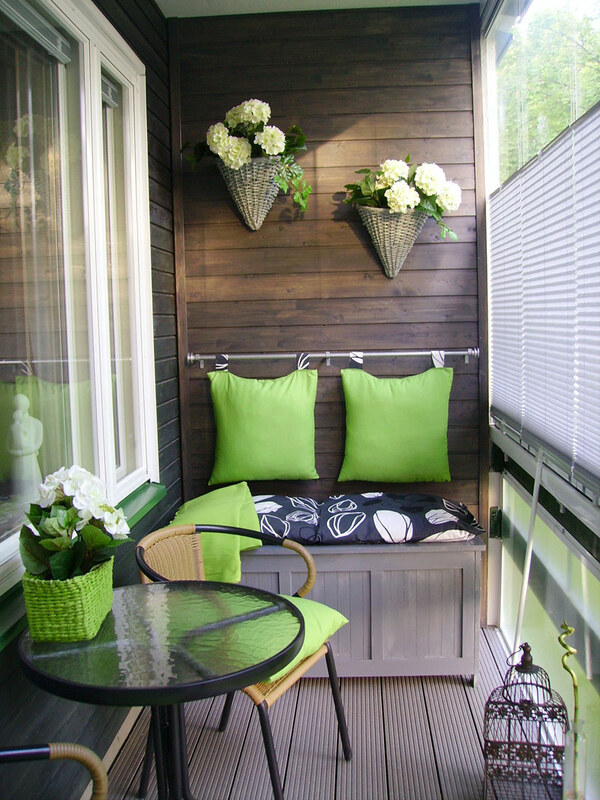 When a tiny balcony consists of neutral shades it has the potential to feel too closed up and very monotonous. 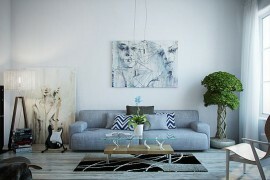 Cut into the repetitiveness of gray hues with a daring blue rug and light cushions! 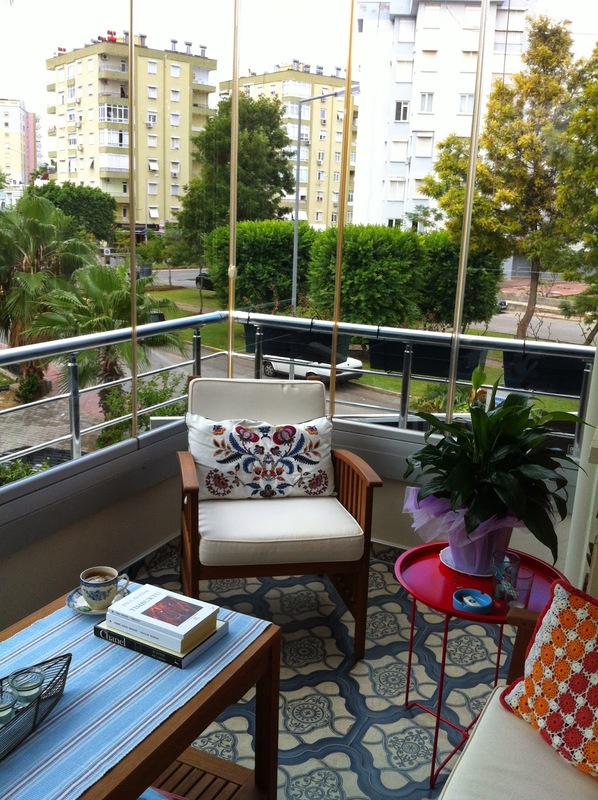 The balcony, however small, will instantly be blessed with a sophisticated, joyful style!